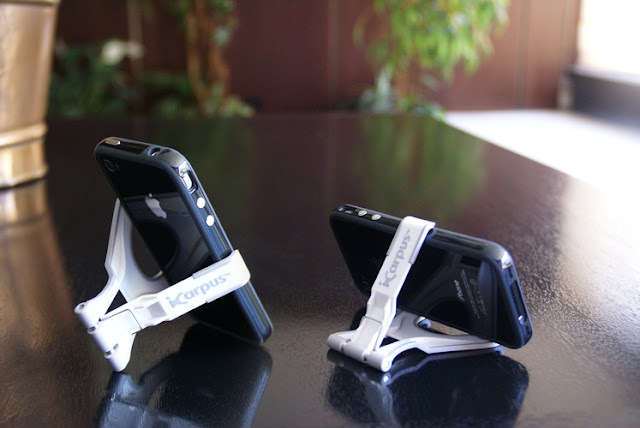 I was recently on the hunt for some type of stand or holder for my iPhone 3GS, not really for necessity, but more for an accessory for convenience. I mean, how many times have you wanted to prop up your iPhone, iPod or just about any other mobile phone or gadget. I was looking for something inexpensive, practical and easy to use and transport. I knew I didn't want to have to plug it in, add batteries or need to feed it regularly, so this narrowed down my options. 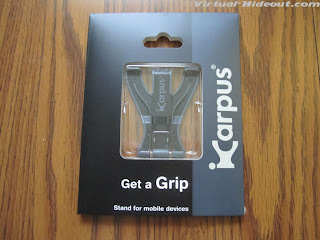 After much deliberation and research, I finally decided to give the iCarpus Mobile Phone and Gadget Holder a try. The reviews on amazon.com were excellent and it just looked too simple to screw up. I'm glad I did. It fit the bill perfectly. As you can see, there isn't much to the packaging, or the product for that matter. 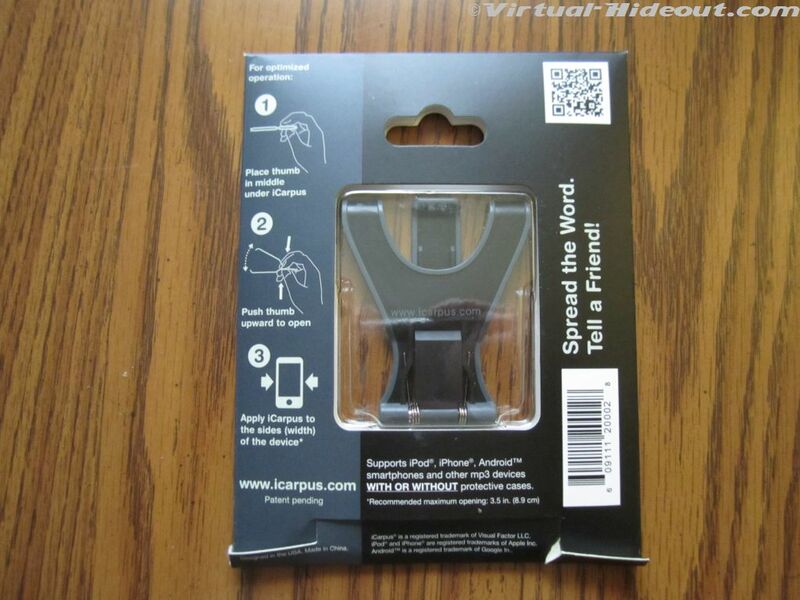 It's a simple spring clip style design that folds flat for easy transport in a pocket, while the tension from the spring provides a stable grip on your device or gadget. Since a pictures says a thousands words, I'll guesstimate a video says a million. Does that look easy or what? Yea, that what I thought too. It's just so practical and simple it makes you wonder why you didn't think of it first! Don't let the simple design fool you though, the quality of the clip is excellent and the small touches like little rubber spots on the ends that grip your device, as well as slightly curled ends to better hold it are small touches that go a long way in enhancing the usage of the device. I'd liked it so much I bought four of them, one for each iPhone in the house. 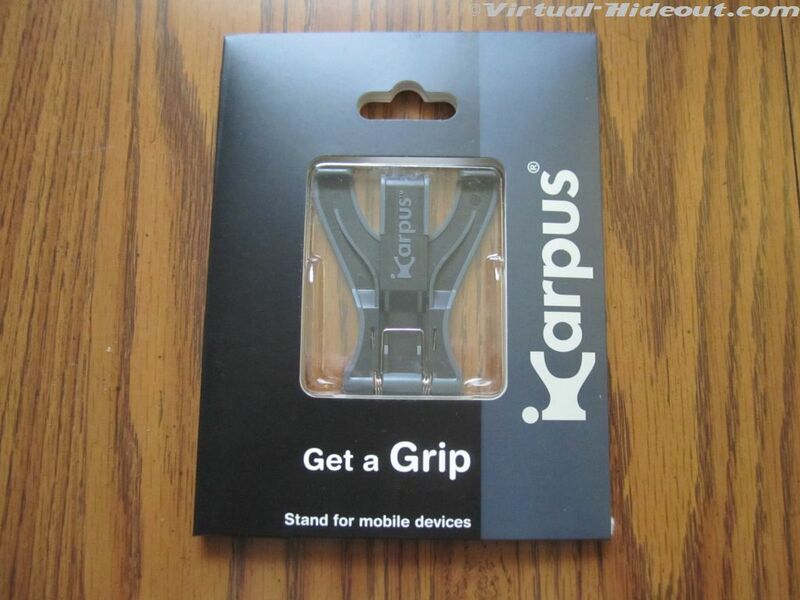 If you're looking for a simple, quality stand and holder for your gadget, phone, camera or whatever, then give the iCarpus Mobile Device Stand a try. For around $12, it's money well spent on something you'll actually use everyday. I use it constantly. I pretty much never just lay my iPhone on it's back anymore. I simply keep it propped up in the iCarpus stand . Not only does it look cooler sitting on the desk, but it keeps it safer too. these are pretty cool! 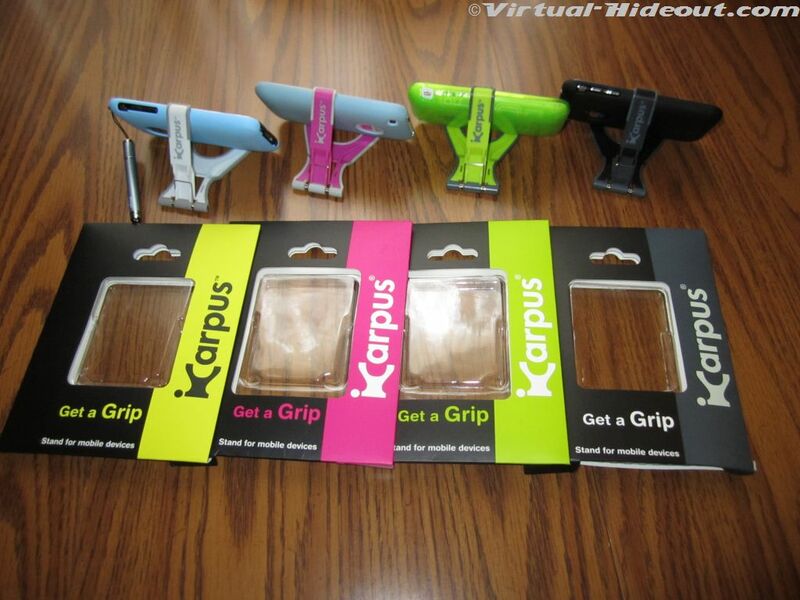 Do they have them for iphone 4 or other phones such as htc evo or blackberry? my wife has a blackberry and i have and iphone 4. Do they have for tablets? i've been using the spiderpodium stuff and so far i love them too. really killer if you're driving in the car and you need to calm your kids down, just hang the thing and away you go! 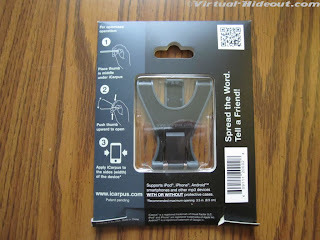 These work perfectly well with iPhone 3GS, 4, HTC, or any other phone (or thing for that matter) that'll fit between it's jaws! If you notice, in the first picture of this review, those are two iPhone 4's. And as far as on the go, I really like the Griffin CinemaSeat for the iPad2, As you say, just hang it and go! Thanks for reading! do you hawe some reseller adress?